COLUMBUS, Ohio (Reuters) - Local bankers are joining the fight against a congressional proposal to audit the U.S. Federal Reserve's policy decisions, with more expected to lobby against the bill if it gains traction in Washington. The audit of the Fed bill, championed by Rand Paul of Kentucky, a Republican Senator and likely presidential candidate, would encourage interference from lawmakers into the central bank’s monetary policy discussions. A similar Fed audit bill passed the House of Representatives late last year and a hearing on Fed transparency is expected to be formally called by the Senate banking committee, according to people familiar with the matter. A Reuters survey of 24 state banking groups has found that four are actively opposed to Audit the Fed and five would probably take a stand against the bill if it gains more support, giving the central bank an influential ally as the Fed ramps up its own public opposition. The support of groups like the Ohio Bankers League, which is sending 82 members to Washington this week with the bill on its agenda, shows that even though banks of all sizes complain about restrictive Fed regulations, they support its ability to independently set monetary policy. "We feel the current system works well, it's time-tested, and there are all kinds of reasons why political influence at the Fed is a bad thing," said Bob Lameier, president of the Ohio group and head of Miami Savings Bank in Miamitown, near Cincinnati. In the run-up to the 2010 Dodd-Frank legislation, community bankers aligned with Fed officials to convince lawmakers not to strip the central bank of responsibility for supervising small banks. The Dodd-Frank Wall Street Reform and Consumer Protection Act was a group of rules passed in 2010 in a bid to prevent the recurrence of events that caused the 2008 financial crisis. There are more than 6,000 community banks in the U.S., representing 93 percent of all lenders in the country, government data show. Community banks, which typically have less than $10 billion in assets, account for about 45 percent of all of the small loans to businesses and farms made by insured institutions in the United States. The sector is also an influential voice in Washington. The Independent Community Bankers of America, their trade group, gave $1.3 million in political contributions in the 2013-14 campaign cycle, according to the Center For Responsive Politics. This week, Fed Chair Janet Yellen will testify before the Senate Banking, Housing and Urban Affairs Committee for the first time since Republicans gained control of the Senate. Bankers and Fed officials alike say the change of control increases the chance that Congress backs the Audit bill and sends it to President Barack Obama. Committee Chair Richard Shelby, an Alabama Republican who opposed Yellen's appointment, supports making the Fed more transparent but has not said whether he backs a full audit. He is expected to call a committee hearing on Fed transparency in the coming weeks, said a person familiar with the matter. Shelby's office declined to comment. The audit bill would allow legislators to launch investigations of Fed policy decisions, which supporters say will shed more light on the unelected body and its $4.5-trillion balance sheet. Last week, Sen. Paul hosted a Facebook-based question-and-answer period on the bill that drew more than 1,300 comments. 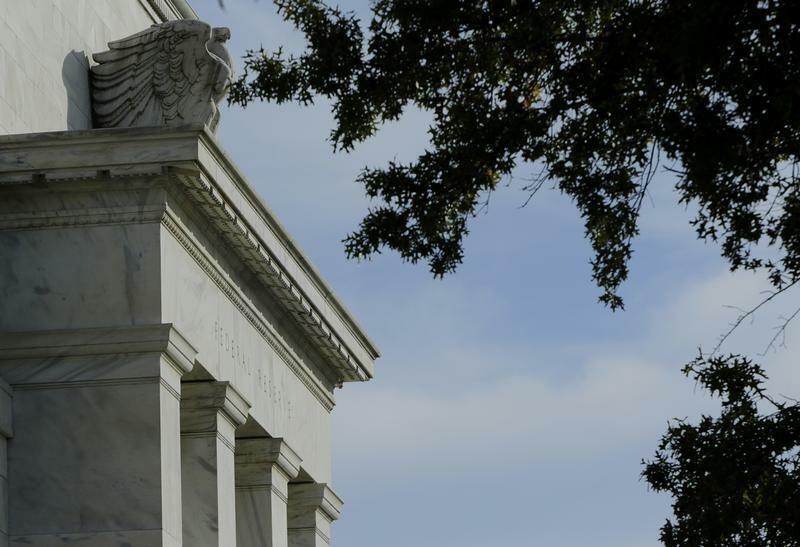 The Fed's finances, however, are already audited and the bank has taken steps to lift the veil on its decisionmaking, including regularly publishing economic and policy forecasts, and clarifying its long-term goals. Fed policymakers have meanwhile amplified their criticism of the bill, arguing it would encourage short-term political meddling and imperil its independence. While Obama would be expected to veto a Fed audit bill, the debate is set to heat up along with the campaign for the 2016 presidential election. Audit the Fed "is unnecessary and we do not support it," said Arizona Bankers Association spokeswoman Theresa Kleinlein, adding it was not a high priority because the group did not expect the bill to "move very far." The Iowa Bankers Association was similarly opposed, while its Alabama counterpart plans a thorough review of the bill and is prepared to discuss it with lawmakers during a spring visit to the capital. The group is "very supportive of transparency yet would be wary of efforts to diminish the independence of the Fed or to politicize it in any way," said Scott Latham, president of the Alabama Bankers Association. Shelby represents Alabama while Sherrod Brown, the ranking Democrat on the Senate Banking committee, is from Ohio. The Ohio bankers plan to meet this week with Brown, Republican House Speaker John Boehner and other lawmakers to discuss the bill and other issues such as bank regulations and cyber security. Brown opposes the Fed audit bill. Banking groups in Texas, Tennessee, Massachusetts, Virginia and Arkansas said they were inclined to oppose the bill but were skeptical it would progress in Congress. Still, most of the state organizations contacted by Reuters were either unaware of the bill or had not staked a position, a sign that the banking industry, which sends more money to the Republican party, may be cautious about a lightening-rod issue that can pit Main Street against Wall Street. Through a spokeswoman, Sen. Paul said the bill is about "restoring fiscal sanity to our nation's checkbook," adding in an email he aims to put it to a Senate vote. At an Iowa rally earlier this month, he told cheering supporters: "Anyone here want to audit the Fed? Anybody hear that the Fed's out to get us?"